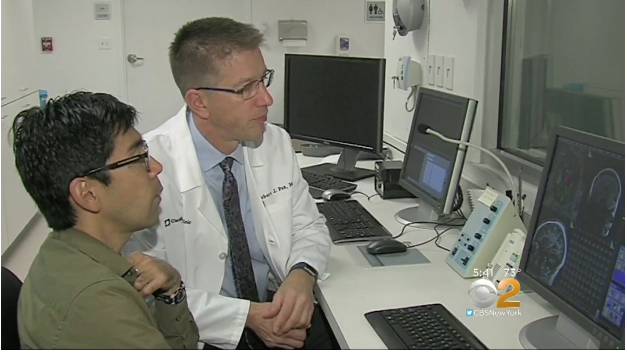 There is some encouraging news for people with the most severe and disabling form of MS.
As CBS2’s Dr. Max Gomez reports, an asthma drug from Japan may slow brain damage in MS patients. Larry Irving has the most common form of MS, called relapsing-remitting, which has affected his motor skills and more. “As far as me trying to get words out, that became difficult,” he said. If his MS becomes the progressive type, which some people start out with, it becomes even more debilitating. “The loss of motor function, the loss of balance, the loss of cognition, it becomes a really disabling situation,” said Dr. Lauren Krupp, the head of the MS Care Center at NYU Langone Health. She says we all lose some brain volume with aging, but that loss is greatly accelerated in MS patients. But now an oral asthma drug, Ibudilast, approved in Japan and used in a relatively small study of 250 MS patients, seems to have slowed that brain loss. Half got the drug and half got a placebo. “It cut in half the progression of brain atrophy and brought the rate quite close to what we see in otherwise healthy people,” said the study’s author Dr. Robert Fox, of the Cleveland Clinic. He used MRI scans to measure brain volume and shrinkage over two years. “All the neurological skills that we rely on, you need the brain and the spinal cord tissue to do those,” Krupp said.